The Coordination Center at the ATO headquarters suspend the permit to cross the contact line issued to the head of the Center for the release of prisoners "Officers' Corps" Volodymyr Ruban after he stated in the application form that the purpose of his visit to the "DPR" was taking care of his mother-in-law's apartment. Previously Ruban told reporters that he was heading to Donetsk to negotiate the release of hostages, SBU spokeswoman Olena Hitlyanska reminded in Facebook. On Monday, the security service voided Ruban's permit to cross the contact line with the breakaway Donbas "republics", referring to an unspecified "violation of the order". 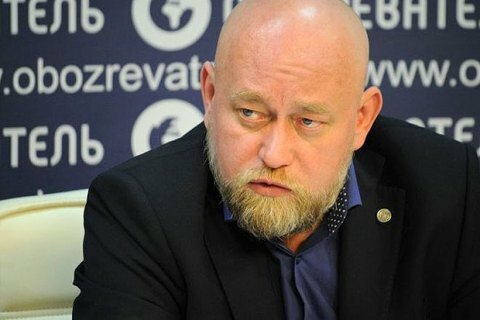 Ruban said that during his recent visit to Donetsk he crossed the checkpoint with the observance of all due formalities and blamed the SBU for torpedoing the exchange of prisoners. The SBU denied the allegations. On 24 February, MP Nadiya Savchenko and Ruban visited a penal colony in the occupied Makeyevka, which Ukrainian prisoners of war are contained.